The perfect cup of coffee comes in many forms depending upon your tastes. First up is the French Press, or “Press Pot”, which is the name of a coffee brewing method and also the name of the piece of coffee equipment (a coffee maker) that allows coffee grinds to soak directly in hot water. The spent grounds are then separated from the brewing coffee by pushing a mesh plunger to the bottom of the coffee pot. The French Press is widely considered as the best method for brewing premium gourmet coffee and enjoying all of its best qualities including the body, aroma, acidity, aftertaste, bitterness, sweetness). Many coffee connoisseurs consider the best coffee brewing method to be the traditional French Press. The term French Press refers not just to the brewing method but also to the piece of equipment that is used for that method. In other words, you use a French Press to make French Press coffee. A French Press coffee maker provides a vessel to put the roasted, ground coffee into, and then hot water is added and the coffee is allowed to soak directly in the water. After the coffee has steeped in the water for a sufficient amount of time (e.g., three to five minutes), then the spent coffee grounds are separated from the hot water by pushing down on a mesh plunger. Typically the French Press coffee maker is cylindrical in shape, and the plunger is round and moves from the top to the bottom of the cylinder trapping the coffee grounds at the bottom and allowing the brewed coffee to be poured from the top. For brewing premium gourmet coffee the French Press is an ideal method as there is no paper filter involved and thus all of the coffee’s essential oils remain in the brewed coffee. This allows the coffee drinker to enjoy the full range of the coffee’s fine and often nuanced flavors including the coffee’s body, aroma, acidity, aftertaste, bitterness, sweetness). Pour over coffee (eg. Chemex brand, Grosche brand) is brewed similar to a drip coffee maker, but allows for manual control. They come with a top cone that either takes a paper filter, or use a permanent stainless steel mesh filter. While a paper filter removes the most coffee grounds, it also strains out the coffee oils that contain much of the coffee flavour. Various stainless steel mesh filters are available, ranging from a standard one to ultra-fine micromesh, which filters more particles. Pour over coffee makers are typically made from borosilicate glass – the same material as beakers in chemistry labs, which are more heat resistant and less delicate than glass. While they tend to be stronger, often they are also thinner, and are still susceptible breakage if mishandled. Siphon coffee makers work by using two chambers and a negative pressure vacuum created by heating and subsequently cooling a bottom chamber. The heating phase forces the water into the upper chamber by building up pressure from evaporation, similar to how a stove top coffee maker works. Once the bottom chamber is vacated, the heated water in the top chamber (with the coffee grounds) is pulled back into the bottom chamber. Not only is this a neat physics trick for brewing coffee, it’s sure to impress anyone who hasn’t seen it before. Automatic Espresso Machines come in a number of formats, including Semi-Automatic and Super-Automatic variations. Popular brands include Saeco, Gaggia and Delonghi, but there are dozens of brands available. Each brand has a wide range of units and models available, ranging from the low $400’s up through $2000+. Automatic Drip Coffee Makers will have a fresh cup waiting for you in the morning while Single Serve Coffee Makers will provide you with one perfect cup. The most popular and traditional way to brew coffee is using a Automatic Drip Coffee Maker. You can even get one with an automatic timer so that by the time you open your eyes the delicious aroma of fresh-brewed coffee will be wafting through the air inviting you to rise and shine and green the new day. The way an automatic coffee machine, also called an automatic drip coffee maker, works is that you place the pre-ground gourmet coffee into a disposable paper filter in the coffee machine and then fill up the coffee maker with the proper amount of water. Some people prefer to buy whole coffee beans and grind them just before using them. Once you turn the machine on, or when it goes on automatically if it is pre-programmed, then the machine heats up the water to the proper temperature and disperses bed of roasted, ground coffee and drains through the grounds and into the coffee pot waiting below. As the water seeps through the coffee grounds it absorbs the coffee’s flavor materials creating a brewed coffee beverage with its many fine flavors and aromas. When the coffee is done brewing you simply pour it from the coffee pot into your cup. This is the filter-drip method of coffee brewing and is perhaps the most common and popular method by which most people in the United States make their coffee every day. Once you have poured a cup of coffee from the coffee pot into your cup then you can place the coffee pot back onto the machine where it stays warm and can be consumed as needed without getting cold. Pod Coffee Makers brew fresh-sealed Coffee Pods while Coffee K-Cups and T-Discs also make it convenient to prepare a fresh cup of gourmet coffee. They are the best option for convenience alone – but are the worst option for price, and environmental impact. A pod coffee maker is a coffee brewing machine that is designed to brew a coffee pod while an espresso pod brewer is an pod espresso machine that is designed to brew an espresso pod. While the coffee pod is used to brew a regular cup of coffee, an espresso pod brewer brews espresso, which involves forcing very hot water at high pressure through the roasted and ground coffee. A pod coffee makers area is also referred to as a pod coffee machines, coffee pod machines, and pods coffee makers. A variation on the automatic drip coffee machine is the Single Serve Coffee Makers. This type of coffee brewer (single serve brewing machine) is a coffee maker that is designed to produce just one cup of coffee (a single serving of coffee). 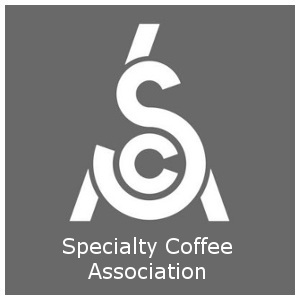 Some single serve coffee brewers are designed so that they can also produce single servings of other beverages such as tea or soup. 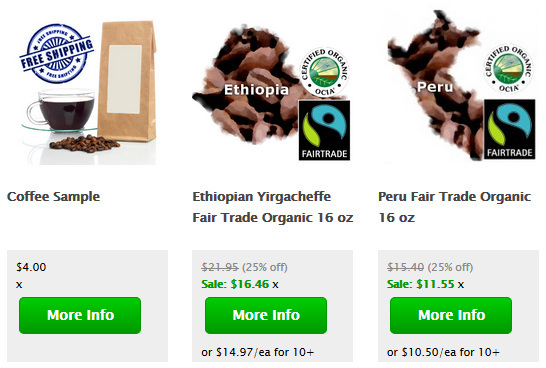 A wide variety of selections are available as far as coffee types (e.g., different gourmet coffees, soup flavors, etc.). The single serve coffee brewer also has the advantage that it creates less overall waste than some other systems, and there tends to be a very good consistency from cup to cup. Numerous companies now produce single serve coffee brewers and some use pre-packaged coffees called coffee pods or pre-packaged coffee K-Cups. T-Discs are made by the Tassimo company and utilize a patented coffee pod technology provided in specialized coffee makers. Each T-Disc has a specific barcode which tells the machine the best way to brew that specific coffee disc. The T-Disc coffee brewing machine reads the barcode and then brews the T-Disc in a time of typically from about thirty to sixty seconds. The barcode tells the machine to use a specific amount of water and also regulates the temperature of the water used in brewing. Also specified by the barcode is the amount of milk to be dispensed if is a coffee drink that requires milk. The type of milk used with T-Discs is known as UHT milk and this is used to create specialty coffee drinks such as hot chocolate, lattes and cappuccinos. Like Coffee K-Cups, T-Discs provide a very easy-to-use and efficient method of preparing a fresh coffee beverage. One of the advantages of using a coffee pod is that the coffee is sealed in a package and thus not exposed to the elements until you open it. This is in contrast to a larger bag of coffee which, once opened, is exposed to air and it may take you some time to use up the whole bag from the time you opened it until the time the bag of coffee is finished. Coffee pods are typically packaged within perforated filter paper so that they may be placed directly into the pod brewing machine. Once the pod is used there are no loose grounds, and so the pod can simply be removed and discarded without the mess of loose coffee. There is also an advantage of convenience as well as freshness. There is less time needed for preparation using a coffee pod system with both the regular coffee as well as using a pod to brew espresso. Pods provide a nice consistency as well since each pod is packaged the same and there is less chance of variables causing differences from cup to cup. One of the disadvantages of using a pod system is that some say the pod, even though it provides a freshness due to the individual packaging (e.g., mylar film wrapping each pod), it may not provide the same element of freshness as using coffee that has just been roasted, ground, and in the case of espresso, tamped. There is also generally more packaging involved when using pod coffee than other systems which raises environmental concerns. Many espresso machines (espresso coffee makers) accommodate the use of either a 45 mm, 7 gram espresso pod while also providing the option of using hand-tamped coffee grounds. Perfect espresso brewing is described along with tips on Pulling A Perfect Espresso Shot and Steaming and Frothing Milk. All coffee makers and espresso machines require regular cleaning and descaling that can’t be done with regular washing. See our how to clean a coffee maker guide for pre-mixed branded cleaners and a DIY solution. If you are an aspiring barista you will definitely want to check out the How to make a Latte which provides you with detailed and comprehensive details and instructions for Espresso Drink Recipes. I RESIDE IN CALGARY, ALBERTA, CANADA. I AM INTERESTED IN PURCHASING THE STARBUCKS 100% KONA COFFE BEANS AND AN INDIVIDUAL/SINGLE COFFEE MACHINE/MAKER. PLEASE ADVISE AS TO WHERE I MIGHT OBTAIN THESE PRODUCTS. U am looking for a translation of cafetin as used in Venezuela to refer to a type of coffee pot. Is it a perolator? drip pot? French press? filter pot? Can you help? just got back from Yunnan … where can I get an authentic Yunnan bunson burner/drip – type coffee maker?